While we are stuck with artificial ingredients, we don’t realize that many natural ingredients also exist and honey is one of them. Honey has not one but many advantages and we deprive ourselves from those benefits. One of the most important benefit that honey has to offer is that it is really good for your skin, so while you have tried every possible product for your skin and have still failed to get results, give honey a chance. It can help your body get rid of the dangerous toxins, so start consuming it everyday Honey is also antibacterial which cleanses skin. You can even use honey in a facial mask. 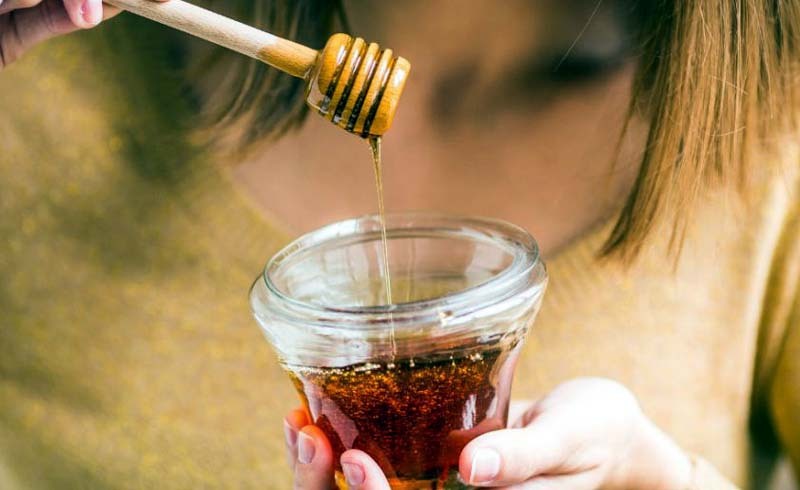 If you are trying to lose weight then honey should be your go-to product because while your nutritionist will tell you to cut off sugar from your diet, he wouldn’t tell you to not take honey, he would rather recommend it. It contains less fructose and glucose. Moreover, it has a lower GI index value than table sugar and it is also sweeter so you end up using less of it. Honey boosts metabolism that burns calories faster. What you need to be careful is not to consume excess honey because being a carbohydrate; it contains a bit more calories than sugar. However, this can never be even a remote factor to compare sugar with honey because there is nothing really healthy about sugar. Honey is a healthier alternative to sugar any day. While you might not know, let us tell you that honey is also good for your brain! Yes, you heard it right. Glucose is one of the ingredients required by neurons for healthy functioning. The glucose in honey is absorbed easier into the blood making you relax faster and prevent psychological problems. But! A bit of advice here. This isn’t to propagate honey as a remedy for psychological conditions that one may be already suffering from. Your doctor is the best solution. So, consume honey in a balanced manner and you will love the benefits that it has to offer. We hope that you liked the information that we shared with you! Don’t forget to SHARE it with your friends and family.